Space has risen to a prime value that people are looking outside the house for storage options. This is where the backyard space comes in handy. When you have plenty of stuff to battle with, a proper use of the backyard for storage ideas will give you the relief that you need. To make the most of your backyard space, think about which of your belongings you wish to put out of sight. Consider the available space you can work with as well as weather conditions, type of maintenance you’re ready to deal with, and your backyard aesthetics. All these will help you narrow down your choices from the different types of backyard storage ideas that are available today. 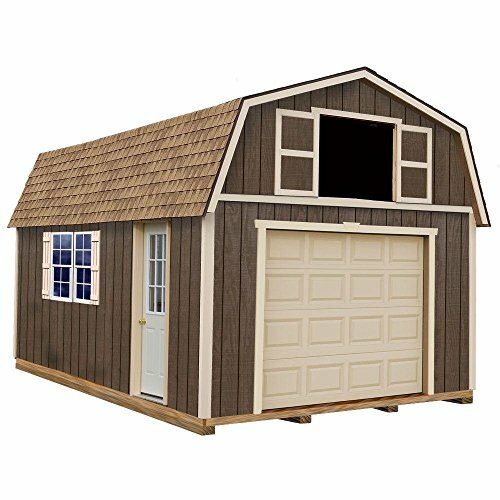 Storage sheds come in all shapes, sizes, and designs, so you can not only easily find one that will be large enough for all of your items that you need to store, but also one that looks great on your property. While storage sheds used to all have the same appearance, it’s easy now to find ones that look like small cottages, which can look especially nice if you live in a meadow or near the woods. When buying a storage shed, make sure that it comes with a floor, as many do not, and you will want to ensure that your items will be up and off the ground to keep them in great condition for a long time. You will also need to measure how much storage space that you need so you do not buy a shed that is too small to store all of your items. Finally, consider the material that the storage shed is made out of, how it will last in your climate, and the appearance of the final product before buying. 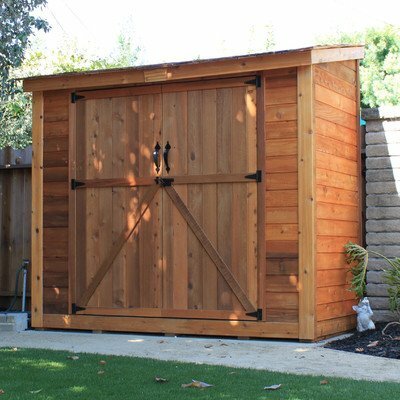 Storage sheds are great for storing everything from tools and backyard toys to your riding lawn mower, but there are smaller sheds made specifically for storing yard tools if you do not need something this large. 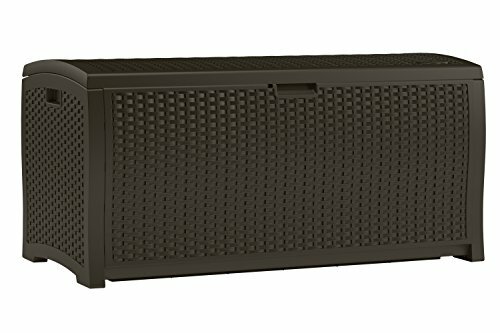 A great deck box is a fast and easy way to store everything from toys to grilling tools on your deck or by the back patio without worrying about them being negatively affected by the weather or left out unattractively on your lawn. While you can buy deck boxes that are smaller in size, it’s often best to buy ones that are larger than you think you need. Even the largest deck boxes aren’t going to take up a lot of space in your backyard, and you can ensure that you have all of the storage that you need when you choose one that is a little bit bigger. Again, you will have to weigh the pros and cons of different materials. With deck boxes, you may want to consider the appearance of various materials more seriously than you have to with a storage shed. This is because of your deck box, while in the backyard, will generally be closer to your home and more easily visible. If you have a lot of patio furniture, you may want to choose a deck box in a material that will match the rest of your furniture. It’s also a great option to choose the material based on how it looks compared to the home itself. No matter what material you choose, a deck box is a fast and easy way to store items in your backyard. 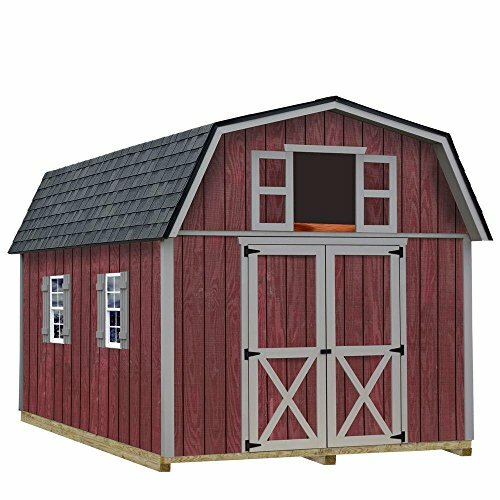 If you have enough space in your backyard and really need to add a lot of storage to your property, then you may benefit from a barn. 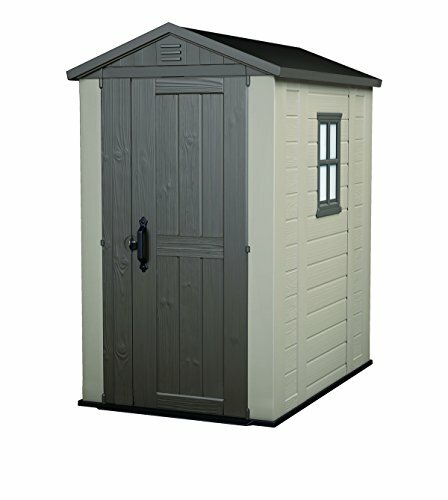 These are significantly larger than storage sheds and often offer two levels of storage. They can be used for storing larger yard or farm equipment as well as any smaller items. You will have to make sure that the ground is prepared and leveled for the barn, or you could run into issues after installation. No matter how long your backyard hose is, you have to have some way to contain and store it when it is not in use. A hose that is left out in the yard will quickly kill the grass and become an eyesore. While some people try to get away with storing their hose in a deck box or throwing it on the floor of their storage shed, this is not the best way to store a hose and will only result in frustration when you actually need to use it. When storing a hose you will want to look for a way that you can loop it up, which will decrease the amount of space that you need to store it and ensure that the hose doesn’t have any kinks or twists in it when the time comes to use it. There are a few options that you can choose from when looking for hose storage for your backyard. One of the most popular ways to store your hose is with a rack that attaches to the side or back of your home as the hose can be easily looped over the rack. The other option is often portable and has a handle that allows the user to wind the hose up to keep it off of the ground. This is a better option if you have a very large yard and will need to move the hose from spigot to spigot, while a fixed storage rack is great if your yard is small enough for your hose to stretch from the spigot and reach all the areas that you need to water. 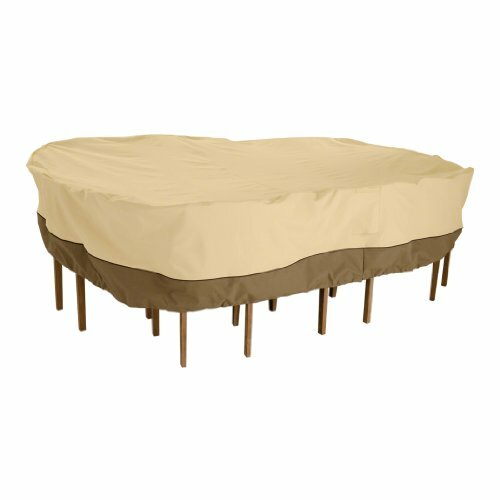 Unless you want to move your patio furniture or grill into a storage shed during the off-season or each time the weather is going to turn back, you will need to make sure that you have outdoor covers that can be thrown over your furniture to protect them. While outdoor furniture can stand up to some rain and hail, it’s important to be able to protect them and store them when they are not in use. Using an outdoor cover as part of your storage plan will ensure that your furniture and grill are protected from damaging rays of the sun as well as hail or snowstorms. Additionally, an outdoor cover that fits correctly will protect against falling debris in a heavy storm and keep the wind from whipping at your grill or furniture. While this may seem superfluous, the other option to keep your belongings in great shape all year long is to move them to a storage building when they are not in use, and this is not only time-consuming but, depending on the item, quite difficult to do. If you do not have a garage at your home, then you will have to come up with another storage option to keep your car safe and protected. A carport is a great choice for this, as it is large enough to easily cover your car and offers protection without all of the frustration, hassle, and expense of having a garage added to your home. If you have a second car or an older vehicle that doesn’t need the full protection of a garage, then a carport is a great way to create the shelter and storage that you need with the very little hassle or work. In addition to storing your car, a carport can act as storage for a number of other things including your ATV, boat, trailer, or even motorcycle. Some homeowners who have a carport in their backyard find that it’s great for storing tools. If you are going to be storing items that need more protection from the elements, then consider a carport that has walls. This will come with all of the benefits of a regular carport, but will also offer a little additional protection so that you can install even more storage inside for tools, backyard toys, and other items. Canopies are great when you need the storage and security that a shed has to offer but want the flexibility of being able to take down the storage when it is not in use and move it to another location. While they do not offer the complete protection that a permanent storage shed does, canopies are great for a number of applications. While larger canopies with open walls can be used to provide shelter for a gathering in the backyard, smaller ones are ideal for storing firewood, bicycles, backyard toys, and even ATVs. They will protect the items stored inside from the sun, rain, hail, and snow, and when they are erected and assembled correctly, there is very little fear of them blowing over or being damaged by the wind. 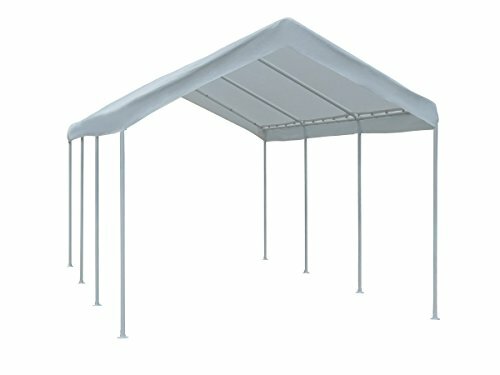 Most canopies consist of strong tubing that is used for the frame as well as tough and durable sealed tops to keep out the rain and resist tears. While they are not ideal for long-term storage, they can be used for extended periods of time if you are in a pinch. 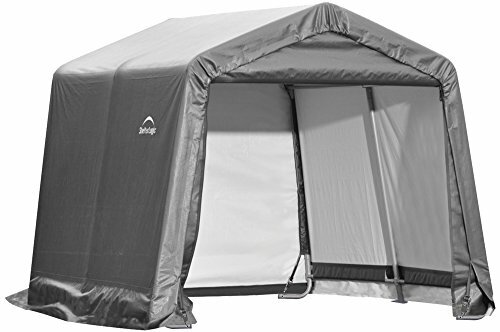 Make sure that the canopy you choose has a heavy-duty zipper door as well as long sides if you want to use your canopy for a long time, as these features will help to protect your stored items. One way to enjoy hidden storage in your backyard is to hide it in your furniture. Instead of having a larger building in the backyard or even a shed up against the home, when you buy garden benches that have storage built into the seating portion of the bench, you can hide your yard tools and toys in plain sight and your family and guests will never realize that they are there. This is a great option for anyone who has a smaller yard but still needs storage, as you can choose a piece of furniture that will serve a dual function for you. Instead of having to buy both a garden bench and a form of tool storage, when you opt for a piece that combines these two features, you take up half of the room in your garden and enjoy double the benefits. Look for a garden bench that is as attractive as it is useful. You do not want the aesthetic appeal of your new furniture to be outweighed by the storage. While some people may balk at using a garbage shed in their backyard for storage, when you think outside of the box, it’s easy to see why this is such a popular option. While these storage options are great for controlling the garbage in your backyard and a must-have if you love to entertain and want to make sure that your guests don’t throw their trash all over the ground, they can easily be repurposed for other storage as well. Because they are generally a little deeper than other storage containers, you have to carefully consider what you want to store in them, as you do not want small items like baseballs to fall to the bottom and be difficult to get back out. However, when you place larger items inside, this storage is perfect for keeping things safe, secure, and locked up. These storage sheds are perfect for keeping wild animals out of your trash, and they will also be able to keep people from getting to your expensive tools or your child’s favorite toy. Additionally, small children will not be able to easily access the items stored inside, making this piece of storage a favorite for any homeowner who needs a safe and attractive way to store items in the backyard. Garbage sheds are often made with neutral colors that blend into the environment, keeping them from sticking out and being an eyesore. A smaller tool shed is a great way to store your tools without having to devote the time or budget to install a larger storage shed. Tool sheds come in a number of options, making it fairly easy to find one that will best work in your space and give you the storage and protection that you need without taking up too much room. When looking for a tool shed, you will want to make sure that it can easily accommodate your taller tools, such as a rake or shovel, as well as items that are a bit wider. While some tool sheds are more like simple boxes, you can buy ones that have shelving inside so that you can store smaller items up and off of the floor. Another thing to consider when shopping for a tool shed is if you want it to be lockable, as this will ensure that nobody can break into the shed and steal your tools. As the name implies, this storage is generally used for tools, but if you need to store other outdoor items, it can be used for that as well, as long as the other items fit easily. It’s a concern of every homeowner who uses backyard storage: how are they going to keep the items that are in storage safe from someone walking through the property. This is especially important to consider if you are using your storage to protect more expensive items, such as heavy-duty yard equipment or an ATV. Some people want to think the best of others and aren’t as worried about locking up their tools or equipment, but if you want to take extra precautions to ensure that your stored items will be safe and protected, then you need to make sure that you opt for storage that is lockable. While some storage will come with a built-in lock, most lockable storage will simply have a place on the container that allows you to use a padlock or combination lock. Being able to provide your own lock ensures that you won’t lose the key or the combination and allows you to change the lock as necessary to protect your belongings. While most of the time you will be just fine with double doors on your storage, if you have a tractor or other large items in your barn, you will want a garage door that will lift up and be completely out of the way when it’s open. This ensures that you can get in and out of the storage and won’t have trouble fitting through a smaller opening. Obviously, this feature will only be available on the largest backyard storage, but it is still something to consider if you opt for a barn. It’s no use to have great storage in your backyard if you can’t easily access the items that you have stored away. While some people may be able to get away with only a single door on their storage unit, opting for double doors is the best way to make sure that you will be able to get in and out easily. This is especially important if you are going to be storing items like mowers or ATVs, as they will not easily navigate through a single door. Windows not only allow natural light into the storage so that you can see what you’re working on when you’re inside but also make the storage look nice and improve the appearance of your backyard. Even if you are not going to be using your windows because you don’t spend a lot of time in the storage, opting for windows will instantly upgrade the storage and make it look higher quality. This is important if your storage is going to be in plain view, as options that can easily be hidden don’t need to look as nice as ones that are front and center in your backyard. Make sure that the windows can be easily locked as you don’t want someone to break in. Many windows can’t be opened and are only included to let in light and improve the appearance of the storage, and most people are fine with this option. While larger storage options for your backyard, such as a storage shed, will generally stay where you place them after they have been installed, being able to move your storage to a new location in your backyard gives you a lot of flexibility. This is ideal if you need the storage for short-term use or have a small space and need to be able to use it in a number of different ways. Instead of spending a lot of time planning where you are going to put and leave your storage indefinitely when you opt for portable storage you can easily move it to a new location when you need to. No matter what you’re going to be storing, it’s ideal to be able to customize your space to best meet your needs. This is easily done when you opt for adjustable shelves, as they can be raised or lowered to better fit items that are larger or smaller. This is especially useful if the items that you are going to be storing will change from time to time, as you can optimize your storage when you adjust the shelves. This is also very beneficial if you need to store something rather large. Being able to completely remove any shelves in the storage will open up the whole space. When you only have a little room at your home or on your property for storage, you will have to consider how to best use your space, and one of the ways to do this is by opting for vertical storage. Because it has such a small footprint, it can be placed almost anywhere, even up next to the home, and still provide all of the storage that you need. When you opt for vertical storage you will also have the benefit of being able to store any longer or taller tools that you have without trying to lay them on the ground. This will protect your tools and make sure that they are in the best possible condition when the time comes for you to use them. Ideal for smaller backyards or even larger yards where you don’t want a giant storage building to take up a lot of space, vertical storage will work for most items that you need to have stored, besides riding lawn mowers and other large equipment. To ensure that the items you have in storage are not damaged by wet ground or dirt, you will have to install a floor to lift them off of the ground and protect them. The problem that many people run into when they are shopping for backyard storage options is that they assume that the storage they choose will already have a floor or include the floor parts for installation. This is unfortunate, as not all storage options come with flooring, and realizing this during installation will halt and delay you from finally getting the storage that you need in the backyard. The best way to avoid this problem is to make sure that you buy storage solutions that come with the flooring either included as a part of the package or as part of the unit. This reduces any stress that you may experience over installing your storage and ensures that it will be functional as soon as you get it set up, reducing delays and allowing you to store your items as quickly as possible. While wood is a very popular material to choose for your outdoor storage, there are a number of complaints that people have about it, mainly that it will rot and requires consistent weatherproofing to look its best and last for a long time. While it is true that wood requires a little more upkeep than steel storage does, when your wood storage is in danger of damage from weather or insects, it’s easy to protect it again with paint or stain. It’s easy to customize your wood storage and add shelving or even windows if you want to let in more natural light. A lot of homeowners prefer wood when they are adding backyard storage to their homes because it is a natural material that won’t look out of place on their property. While some people love the natural look of wood and like the way it ties into the woods around their homes, others prefer to paint their storage to actually mimic the house. This is a great way to make sure that the storage and the home look like a cohesive unit on the property and keep the storage from appearing out of place or as an afterthought. Steel is one of the most secure options when you are in the market for backyard storage and will do a great job protecting anything that you store inside. Since steel is so strong and durable, it will be able to stand up to all kinds of bad weather, resist damage from falling limbs, and ensure that your items aren’t in danger during storms. Additionally, steel is almost impossible to break into, so as long as you have a good lock on your storage you won’t have to worry about anyone being able to break in and steal your tools or your kid’s toys. While steel can get hot in the summer due to the sun, it is very durable and will resist insect damage as well as leaking. One problem with steel is that if it is damaged and the coating is removed, then it will begin to rust rather quickly. It’s important that you are constantly on the lookout for this problem and then address it right away so that you don’t have to worry about your building being marred and damaged by rust. Rust will not only make your building look uncared for, but it will also weaken it and make it less secure. Storage options that are made out of resin are incredibly durable and lightweight, making them easy to move if you are not happy with where in the yard you originally placed the storage. Because they can stand up to rust, rot, and insect damage, they are very low maintenance and don’t require any additional staining or painting the way that wood storage does. The problem that most people have with plastic storage is that it tends to look a little cheap and it is not nearly as aesthetically pleasing as metal or wood storage. If you are not worried about the appearance of your storage and are more concerned with keeping items dry and safe, then resin is a great choice. The resin will not fade even when exposed to strong UV rays and can withstand high temperatures without getting too hot or damaged. While vinyl sheds look a lot like resin sheds, there are some major differences. Many people lump these two materials together when talking about storage, but vinyl is even more durable. This means that it can stand up to damage better than other types of plastic or resin sheds and can even withstand extreme temperature swings without being damaged. If you live in an area that experiences very hot summers and cold winters, then vinyl is a great choice. Storage made out of vinyl does not crack very easily, even when it is very cold out, whereas normal plastic storage may easily shatter. When you are in the market for a canopy for your backyard, then you will want to consider the quality of the fabric that the manufacturer used to ensure that your storage will last for a long time and do a great job protecting the items that you have stored inside. The seams of the fabric are where a lot of potential problems may occur. If they are not sealed correctly, then it is normal to experience drips and leaks into your storage as well as the wind being able to catch the edges and tear the fabric. This can not only ruin or damage what you have in storage but tend to be very expensive to repair or replace. Look for a canopy that has fabric with heat-welded seams, as these tend to be very waterproof and are able to stand up to all kinds of extreme weather without being damaged. Any seam needs to be very strong and enforced or you will have problems right away during the first storm.